Many travellers to Laos are drawn to the country by its more peaceful pace of life. 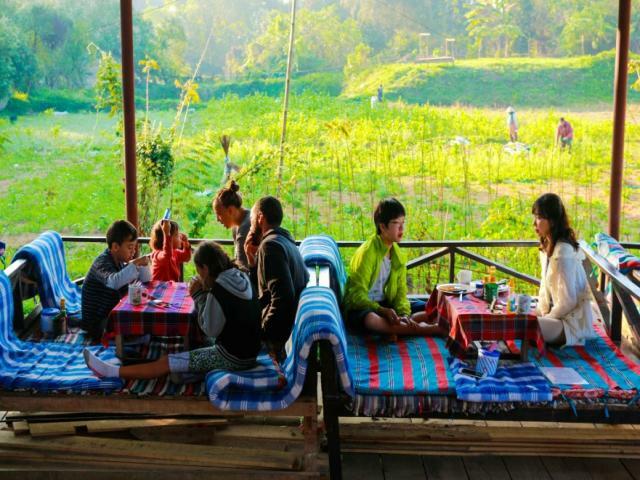 With improving facilities — and the party scene in Vang Vieng hushed — an increasing number of family-friendly activities are available, making Laos a great relaxed place to travel with children. For older children, kayaking, climbing and zip-lining in Vang Vieng are among the many things to do there that can fill a few action-packed days. If they’re strong swimmers, tubing down the river together can be a fun way to spend an afternoon. Jungle treks are available through a number of tour operators, although most of them will require relatively sure-footed hikers — the trails, if any, aren’t always easy to walk along. 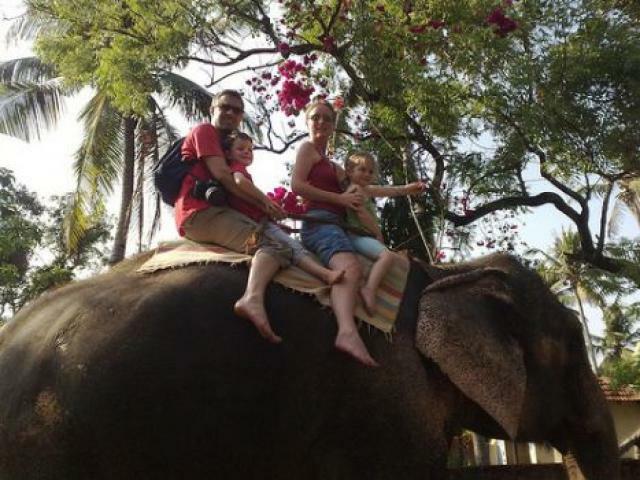 An elephant ride can be fun for even the youngest family members, and some of the elephant camps provide more interactive experiences with the animals. The elephant festival in Sayaboury, in mid-February lasts three days and would offer a great experience for the whole family. Vientiane used to have a water park, but this has been shut down for a number of years. If the kids are looking to cool off, there are several swimming pools,with the Vientiane public swimming pool being the cheapest, biggest and most child-friendly. For little ones needing to burn off steam, the park at the Vientiane waterfront has a playground for small children and lots of space for running around. Buddha Park could be a fun excursion, although younger children might find some of the statues large and possibly terrifying. The museums in Vientiane generally aren’t too impressive, but a trip up to the top of Patuxai to enjoy the view of the city might be fun, as long as climbing stairs isn’t a problem. Some of the wats in Vientiane and most all of those in Luang Prabang are majestic and interesting to explore — just please be mindful of visitors who are praying. 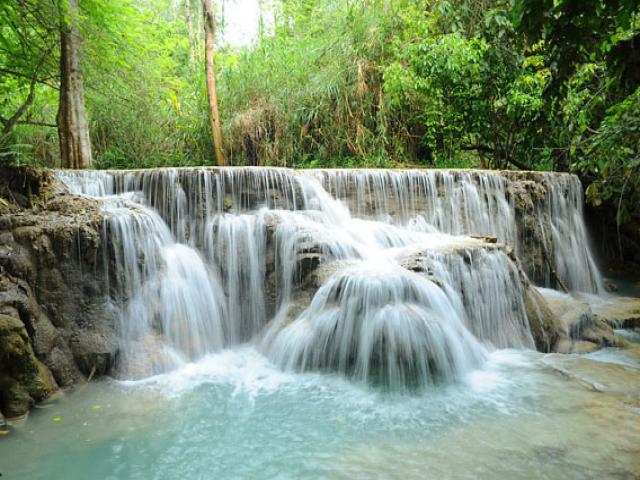 If you’re in Luang Prabang, a visit to Tad Sae waterfall or Kuang Si waterfall is a great trip. Lao food is spicy, and many dishes will contain chillies. Fried rice or grilled chicken are easy options for the unaccustomed palate. Around Vientiane, Luang Prabang and Vang Vieng, you’ll find plenty of more familiar Western dishes served up. Food is generally safe, although stomach upsets aren’t entirely uncommon. 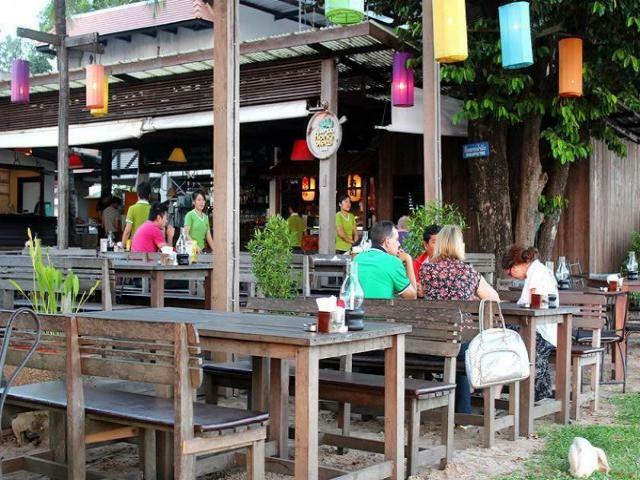 If you’re in Vientiane and looking for a family-friendly restaurant, Kong Khao has a play area and on some days, staff that look after the children. Common Grounds has an excellent shaded outdoor children’s play area and a lot of pleasing menu items. The Phonthan branch of JOMA, near the water tower, also has a good play area and is a popular place for families, so it can get a little crowded on weekends. 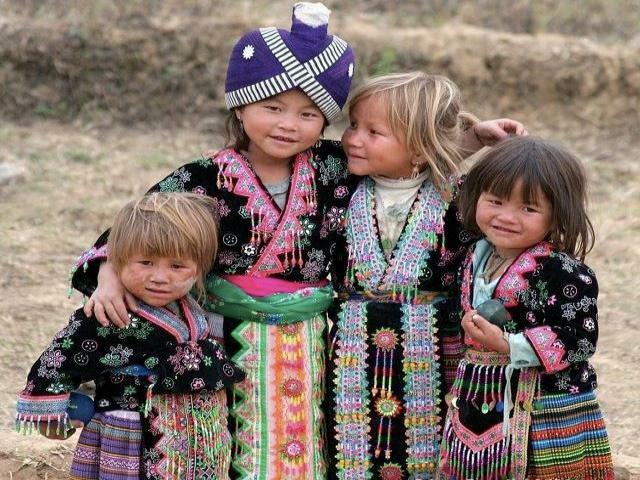 Laotians love children. Babies are adored nationwide and if you’re travelling with a small child, expect some attention. It’s perfectly acceptable in Laos to go up to someone’s child and pinch their cheeks, tickle their belly or give them something to eat. The attention won’t be excessive or bombarding, but don’t be surprised at how familiar people may be. They may find you getting upset about this puzzling — embrace their interest and make some new friends! Health and safety concerns here may take some getting used to as well. Barriers and seatbelts are markedly absent, and driving is often reckless. Bus trips should be safe, but motion sickness is common — and you’ll need to supply your own bag. In case of sickness the Vientiane French Medical Centre has a paediatrician who speaks English and French. Note that even the smallest wounds are very easily infected due to the heat, dust and poor quality of tap water, so keep cuts cleaned and bandaged. Be wary of mosquitoes — while malaria is very rare outside of remote areas, dengue fever affects a notable number of people and has no preventative treatment other than avoiding bites — mosquito nets, coils and repellents are especially important during the rainy season. Contact us today at info@holidayinvietnam.com to get more information on Laos Family Travel from our local travel experts or view our other easy and simple Laos tours.